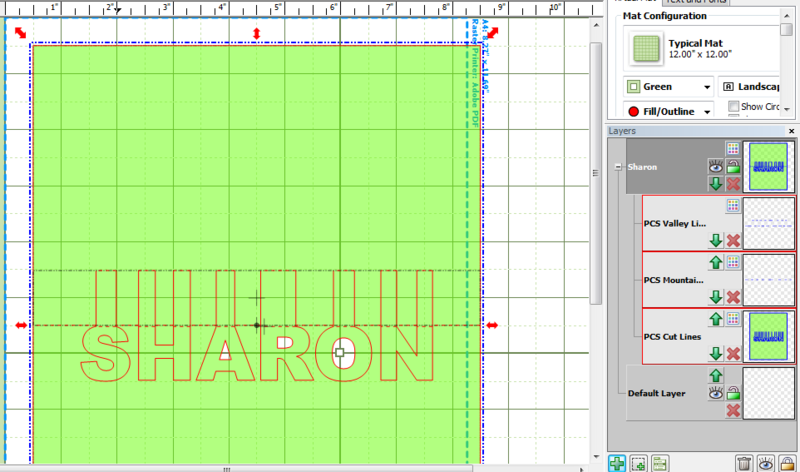 The solid lines show like it will be a cut instead of a fold. Is there any video that shows how to do it? I tried to find one but there are just too many. @Pistillo - how did you export it? 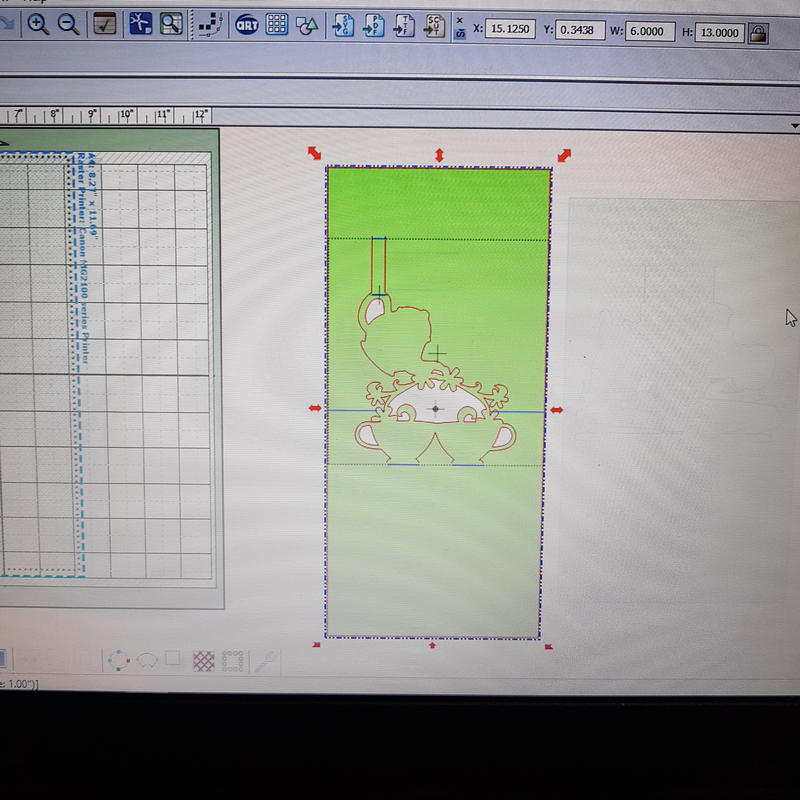 I did File => Export => Project Rendering => SVG and it was fine (meaning the valley and mountain fold lines were clearly indicated in MTC). Liz, since this is my first time doing it, the MTC imported file split the card into 3 sections. A top and bottom halves plus the center letters. I did not observe any cash lines indicating valleys and mountains. What am I missing? Thanks for responding. 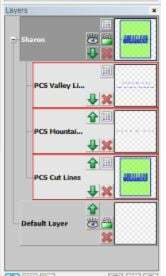 @Pistillo - if you go File => Print preview in PCS, do you see the dashed lines? 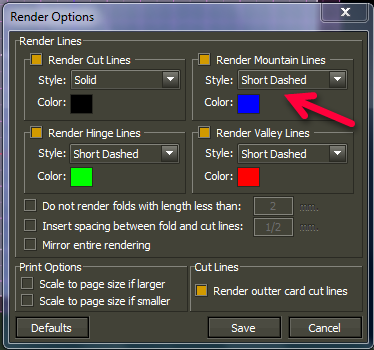 What are you settings in File => Render Options for the Mountain and Valley Lines? The pdf export doesn't retain the line styles/types. 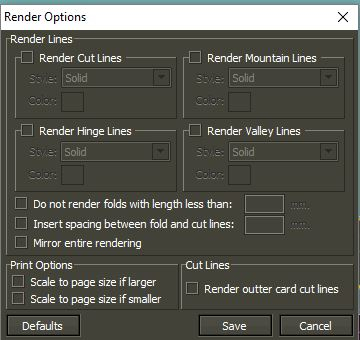 Liz, my render options do not have any options selected. I proceeded to do the same set up as yours. 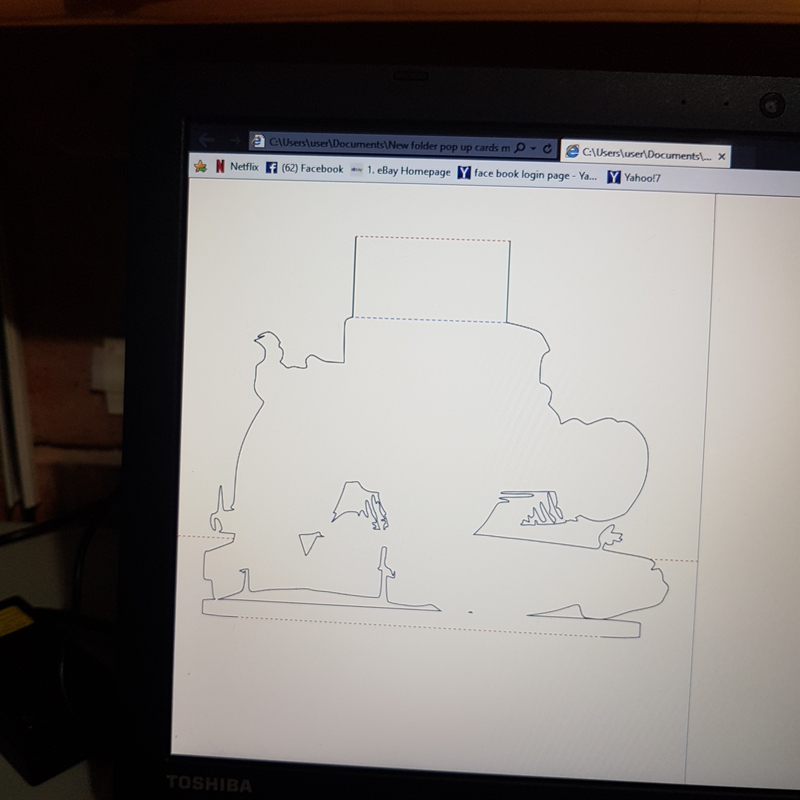 Am I supposed to cut the file according to these layers? I sent the file to cut yesterday and it just cut the paper through. It did not leave any valleys or mountains. LIz and Mr. Zin I will get back to you later. I have to leave to work now. Thank you for your kind help. do you have the make the cut user manual ? The bottom of your letters do not have folds. It appears that you did make the tops flat, but not the bottoms. So, if it were me, I'd start over again in PCS and make sure you trim the bottom off, as well as the top. Then proceed again. One thing I do is repeatedly use File>Print Preview to make sure I see the dashed fold lines show up before moving on to the next step. Then I check one more time before exporting as SVG. Great pick up Sandy didn't notice that line was solid ? Mr. Zing, I did browse the user manual after your recommendation. 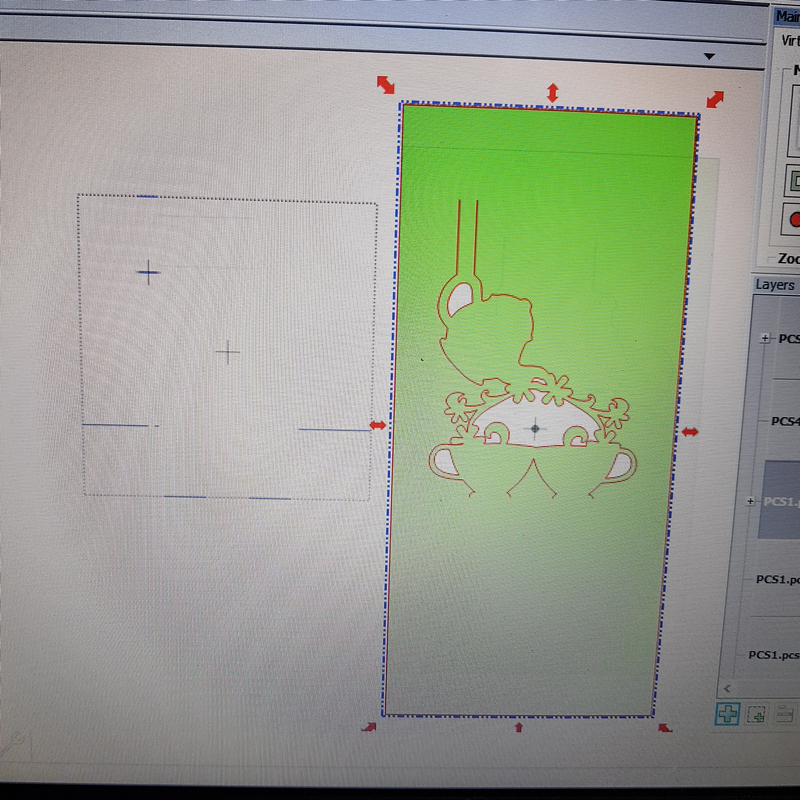 I will have to experiment adjusting the line style to create better fold and mountains. I own a very old Graphtec Craft ROBO. It only cuts 8.5 x 11" sheets. It was given to me as a hand me down from my sister. It came without blade holder and power supply. Luckily, the machine is compatible with Silhoute and I was able to get both from that brand. I plan to test cutting 300 g/m2 cardstock puchased on sale at Michael's. I think I will need to buy a sticky cutting mat according to some videos watched yesterday. Thank you Sandy for your advice. I will add folds to the bottom and try again. The Graphtec Craft Robo was my first cutter and, without any doubt, got me hooked on cutters for life. 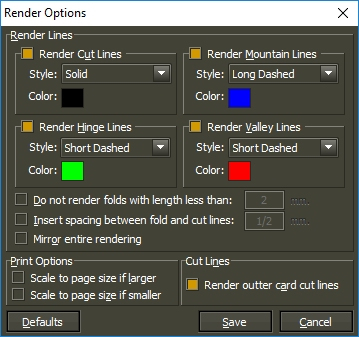 Please post again if you have any issues getting those fold lines to show up. Several different users, including myself, have made their own PCS videos in an effort to make it easier to learn the program. So, just let us know what you need!